imbiss and lending library, the space was explored in terms of its colours, lines and textures. on both sides, using packaging tape and laser prints with pictures of the space during previous renovation. 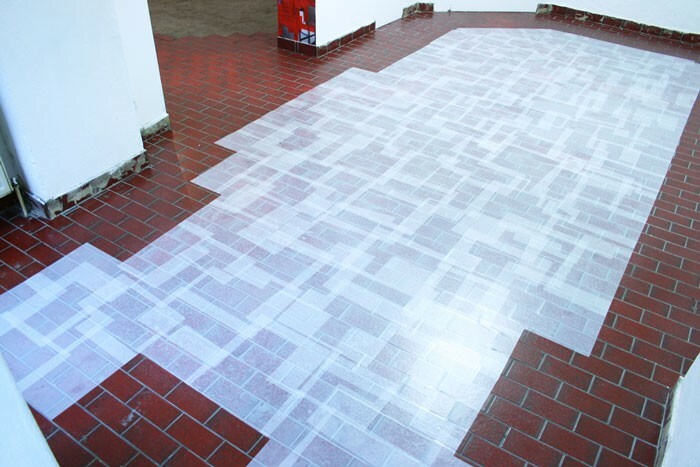 the floor and created a tile-effect, by overlapping between two to four times.